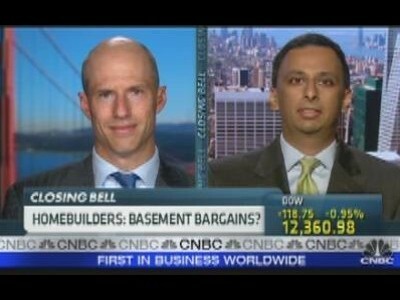 Housing Data Outlook - MSN Video - VideoWired.com - Get Wired! CNBC’s Melissa Lee and the Fast Money traders discuss the day's top trades and the stocks they'll be watching tomorrow. The CNBC’s news team reports on today's market moving activity. What happened at the NOTW and the events leading up to the 2007 affairs and prosecution, were bad," Says James Murdoch. "There are things that should not have had any place in our organization." President Barack Obama gains a fresh momentum by a bipartisan group in the U.S. Senate. Video courtesy of Fox News. Manpreet Gill, Asia Strategist at Barclays Wealth says risk averse pushes gold prices to new highs, but from a fundamental perspective, it is not a good trade to jump on gold for the long term. Wasserman, Mathewson, Sherman Discuss News Corp.
CNBC’s Maria Bartiromo with a look at stocks to watch after the market's close. NBC’s Kristen Welker with details on today's meeting at the White House between the "Oracle" and President Obama. Cyclicals: Time to Buy In? Discussing asset allocation and where investors should put their money now, with Ted Moore, Fifth Third Asset Management, and Joe Heider, Rehmann Financial. CNBC’s Courtney Reagan reports the book company will begin liquidation this Friday. New Corp’s CEO faces questions from British lawmakers tomorrow over his company's phone hacking scandal. CNBC's Kayla Tausche has the details. A technical look at where the markets are headed, with Sam Stovall, Standard & Poor’s.